Deep Spoon | Kitchen Tools(KEB-205) - Keywood International Inc. 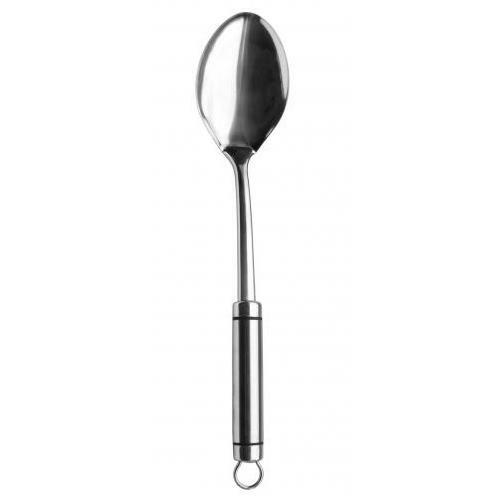 This stainless steel deep spoon is ergonomically designed for use in every kitchen. It is made with high quality food grade stainless steel for durability. The deep bowl of the spoon makes it easy to scoop up large portions of food or liquid, the ideal utensil for serving to large family, restaurant, and catering. The slot on the handle end is suitable for hanging when not in use.